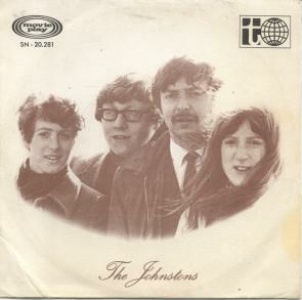 The Johnstons were a family folk group who were immensely popular in Ireland in the late 1960s. 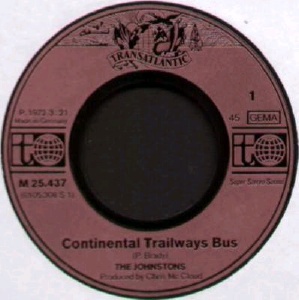 They recorded both traditional and contemporary folk material, some of the latter straying into folk-rock and pop-folk areas on occasion. 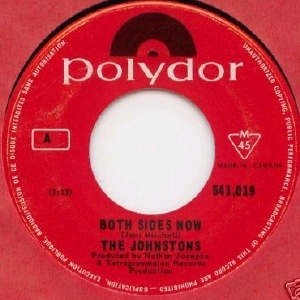 The original lineup consisted of sisters Adrienne and Lucy Johnston singing close-harmony, backed by their brother Michael on acoustic 12-string guitar. 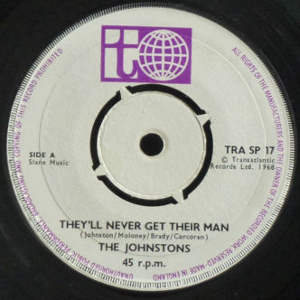 This trio signed to Pye Records in 1965 and scored their only Irish #1 hit with their first single, a cover of Ewan MacColl's "The Travelling People". 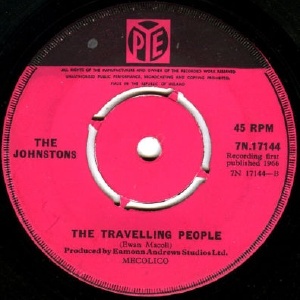 Several more successful singles followed over 1966-67 which are collected on the "Travelling People" album released on Marble Arch in 1968. 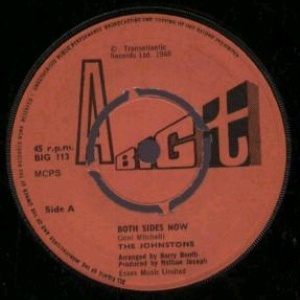 Mick Moloney joined the band as second guitarist to boulster their live sound in late 1966 or early 1967. 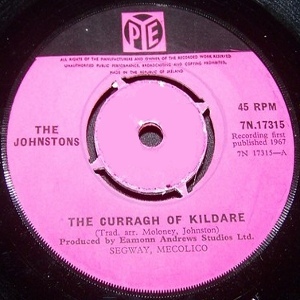 Moloney was a traditional musician who'd been with The Emmet Folk Group with Donal Lunny and Brian Bolger and had opened a folk club on Harcourt St in Dublin where the Johnstons had performed. 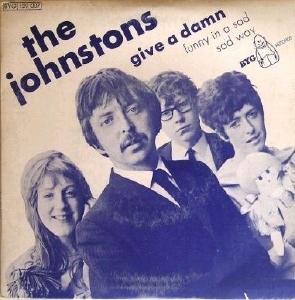 Michael Johnston left the group somewhat relucantly in June 1967. 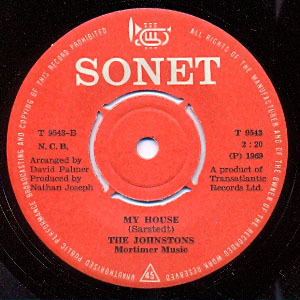 His replacement was Paul Brady (ex The Inmates / The Kult (1965), Rootzgroop (1965-66), and Rockhouse (1966)). 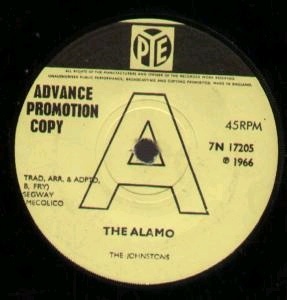 This created the line-up which signed to Transatlantic Records in 1968 and recorded seven albums over a five year period, ending in 1972. This is the lineup that is best known today. 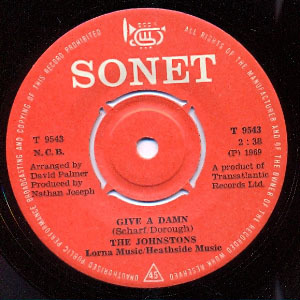 The self-titled debut album released in 1968 contains all traditional folk material. 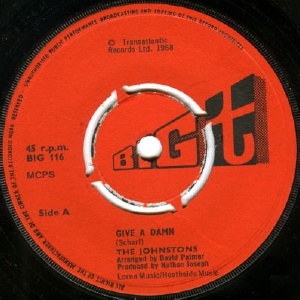 After it's release the band relocated to London, in January 1969, and recorded two albums designed to show both sides of the band, traditional folk ("The Barleycorn"), and contemporary folk ("Give A Damn"). 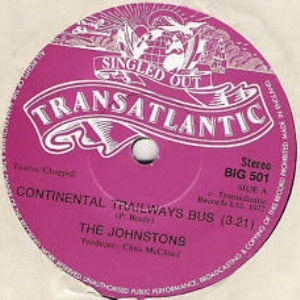 These were released by Transatlantic Records on the same day. 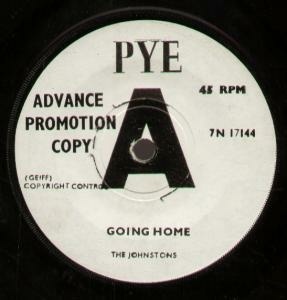 By the end of the year Lucy decided to leave and returned to Ireland in November 1969. She became a successful photographer. 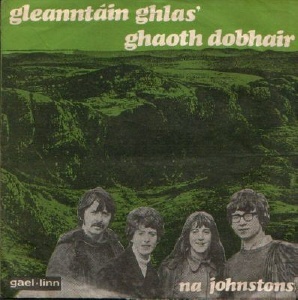 The remaining members continued as a trio, recording the fourth album "The Bitter Green" (1969) which contained both contamporary folk and traditional folk songs but also brought imaginative contemporary-influenced arrangements to the latter. 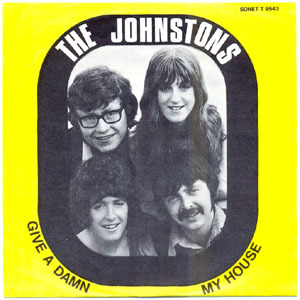 It was the first sign of the band stretching the formula but is still mild by folk-rock standards. 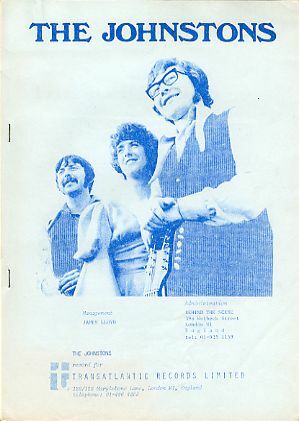 Traditional material was absent completely from "Colours Of The Dawn" (1970) which found a more natural home on Vangaurd Records in the USA (the band's previous US label was Tetragramaton). Half the songs were Brady originals, who was now emerging as a songwriter. 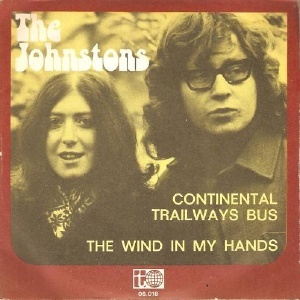 The Johnstons began to spend more time in the USA, spending three months touring there in 1971, including an apparance at the Philadelphia Folk Festival in August. 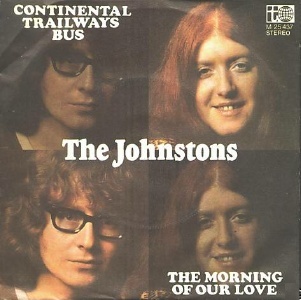 This tour coincided with the release of "Colours Of The Dawn" on Vanguard Records in September 1971. 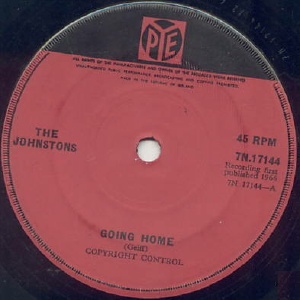 The contemporary material began to dominate and for this reason Mick chose to leave towards the end of the year. He favoured the traditional material but his bandmates preferred the contempary. Mick later emigrated to the USA to study and released solo albums. 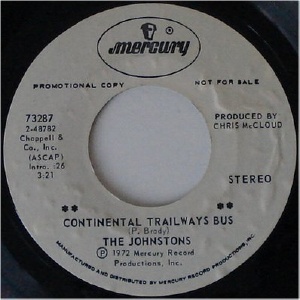 By 1972 the band was duo of Adrienne Johnston and Paul Brady, who signed to Mercury Records in the USA in May that year. 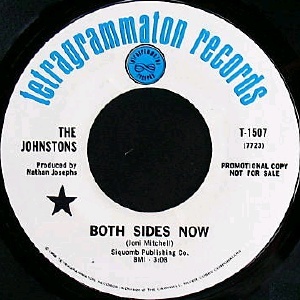 The Johnstons released one final LP, "If I Sang My Song" (1972), the majority of the songs coming from the pen of Brady and his co-writer Chris McLoud. 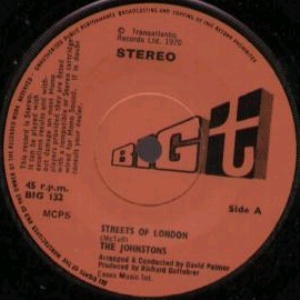 The album boasted backing musicians such as Tim Hart, Royston Wood, and Rick Kemp but would prove to be the band's last. 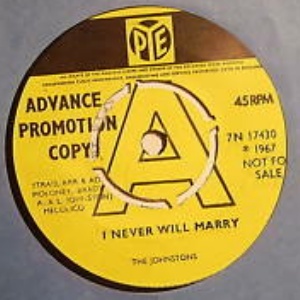 A replacement for Moloney was eventually found in Gavin Spencer but the band split soon after in 1973. 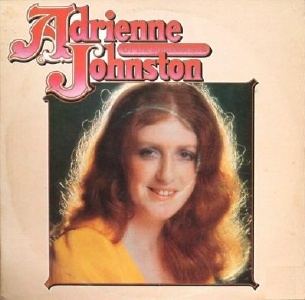 Adrienne remained in the USA where she recorded a solo LP but died tragically in 1981. Paul Brady went on to Planxty, solo albums on Mulligan Records, the superb Brady & Irvine album and eventually a highly successful if artistically bland singer-songwriter solo career in the 1980s and beyond. 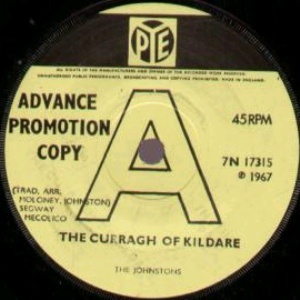 Spent 7 weeks in the Irish charts, peaking at #1. Spent 8 weeks in the Irish charts, peaking at #11. Spent 7 weeks in the Irish charts, peaking at #8. Spent 6 weeks in the Irish charts, peaking at #12. 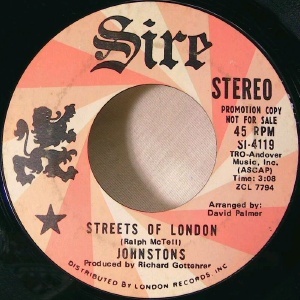 Originally recorded by Spanky And Our Gang. 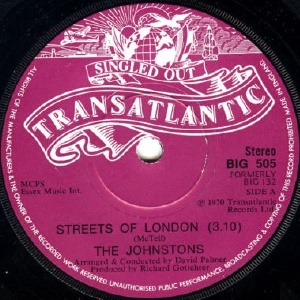 Reissue of four tracks released on singles in 1966. 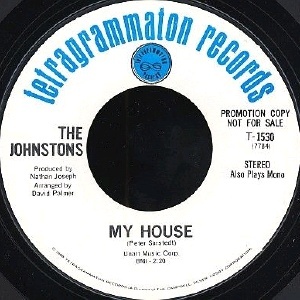 Adrienne Johnston remained in the USA after the Johnstons split in 1973. 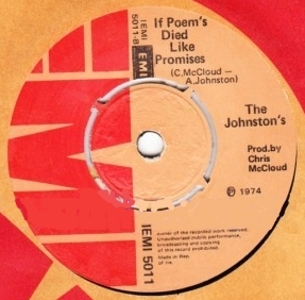 She recorded just one solo album, in 1975, which included contributions from several notable musicians including Simon Nicol, Gerry Conway and Pat Donaldson. She died in 1981. 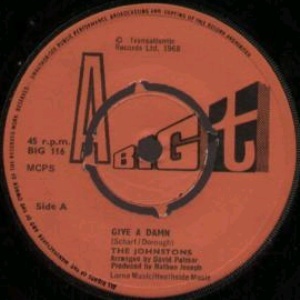 7" - EMI Records - IEMI 5011 - IRL - 1975 - PS? 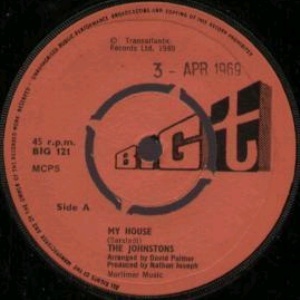 Credited to The Johnstons on the label. 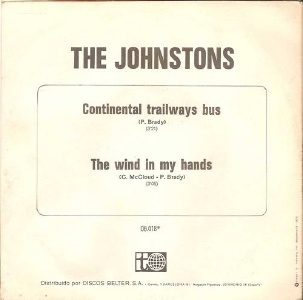 Notes: All songs by Chris McCloud (1), Chris McCloud & Paul Brady (2,3,4,6,7) and Chris McCloud & Adrienne Johnston (5,8,9). Produced by Chris McCloud.